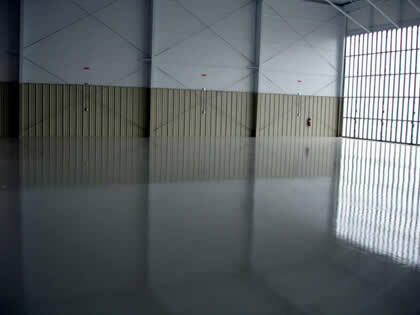 Blue Field Floors CHIP RESISTANT HIGH BUILD HANGAR INDUSTRIAL FLOOR is designed for interior concrete floors that require an impact resistant, a high gloss, easy to maintain finish. 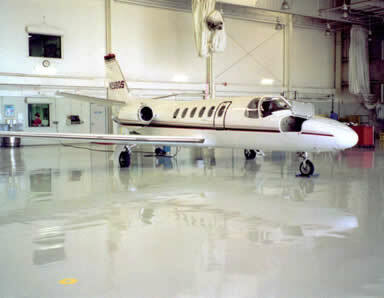 This system is resistant to staining and chemical attack from certain common acids, alkalis, fuels, grease, salt and Skydrol. 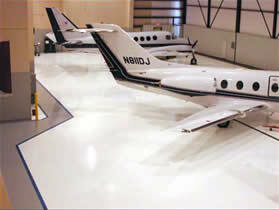 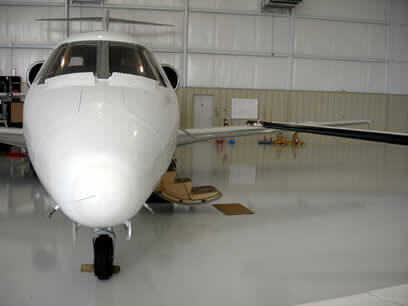 Blue Field Floors AIRCRAFT HANGER / INDUSTRIAL PLANT COATING is designed to provide a thin-mil, light reflective, and chemical resistant finish.